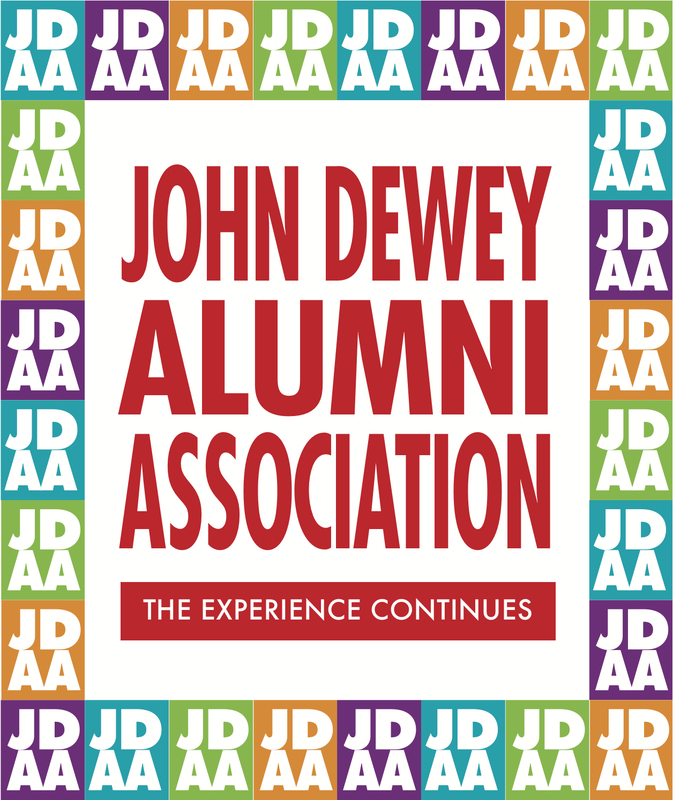 It is more important than ever that we joined together to celebrate the success of the John Dewey Experiment. 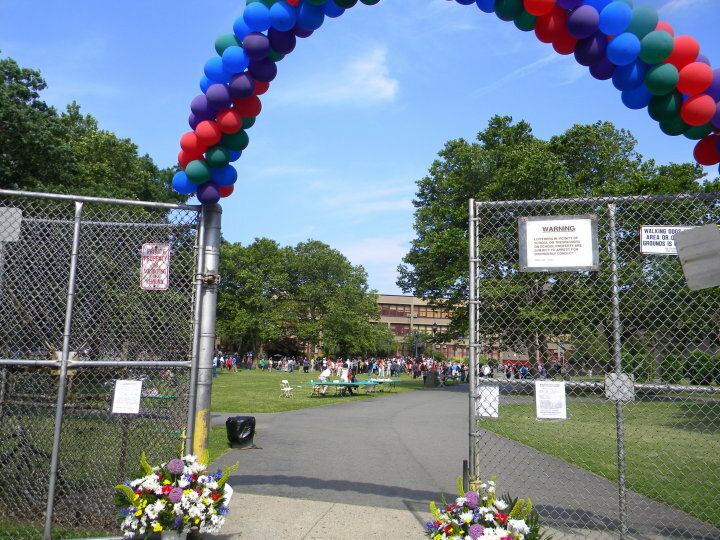 On June 12, 2010 there was an all class celebration of 40 years of John Dewey High School. Dr. Joshua Segal spoke about the planning and implimentation of the program that was in place for 43 years at John Dewey High School. Ray Suarez, Councilmember Dominec Recchia and director and writer Larry Charles all spoke about being students in John Dewey High School. One hundred former teachers came back to see former students and colleagues. 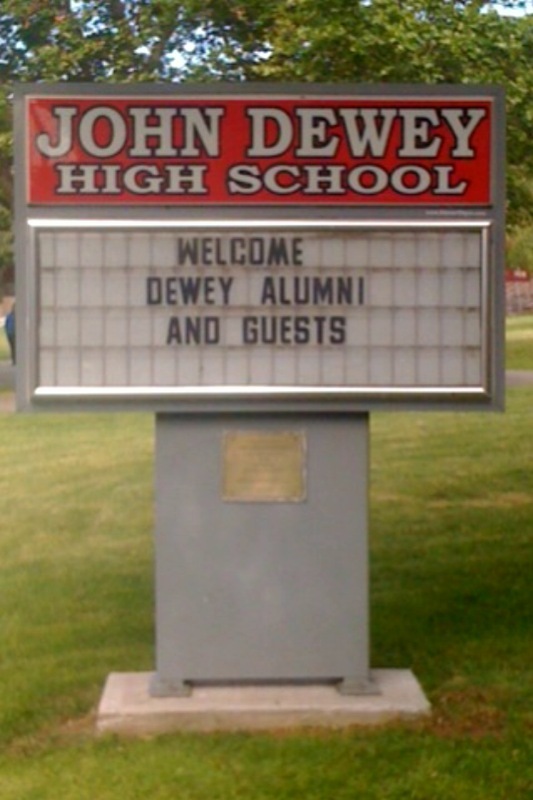 John Dewey High School was truly a very special place that fostered learning and lifelong friendship. These were the stickers donated by a parent who was a printer that we sold for $1.00 each to raise money for the Marine Biology Program. Dewey opened in the fall of 1969. The original teachers were hired during the spring and the summer was spent writing unique curricula to conform to the Dewey model. One of these courses was Marine Biology which had been taught experimentally at Far Rockaway High School by Mickey Cohen. 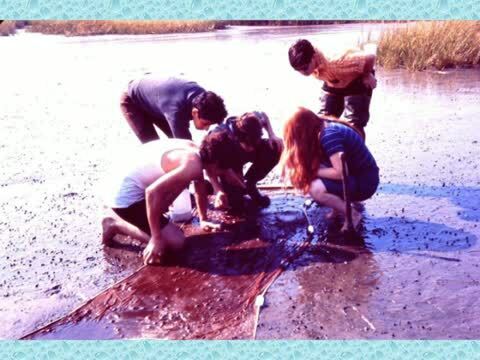 In 1969 Siegel and Silverstein were pioneers in developing the New York State Marine Biology Curriculum at the experimental John Dewey High School. Harold Silverstein, an veteran biology teacher and Lou Siegel with only two years of teaching behind him taking a class out on the Coney Island pier. Lou grew up spending many hours on the Coney Island and Sea Gate beaches and was on his way to a Masters degree in Marine Science when the school opened. Around Lou’s neck is a Nikonos underwater camera, one of the first of its type which was typical of the professional level equipment to which the students were exposed in the Marine Biology Program. Harold Silverstein and Lou Siegel team taught both lecture and laboratory classes making maximum use of the flexible Dewey schedule. There was never any time to waste. If the bus was late we began the field trip orientation outside. Here is another crowded day. That’s Lynn Spevak in the front row. Plum Beach the marine biology classes outdoor laboratory and home away from home. Dave Goldenberg and another student measure water transport in a stream. Groups of students worked together here to measure density of the water. Collecting organisms using a seine net. Terry Klein, lab specialist who assisted with all lab and field activities. Here out at Plum Beach with the students doing titrations. The Dewey School Song composed by Mr. Al Guastafeste and sung at the reunion. Mr. Lenny Warner's The Unique Features of John Dewey High School. It was written as part of the campaign to restore funding for the extended day in 1995. Larry Charles was at the 40th Anniversary. Here is the interview. 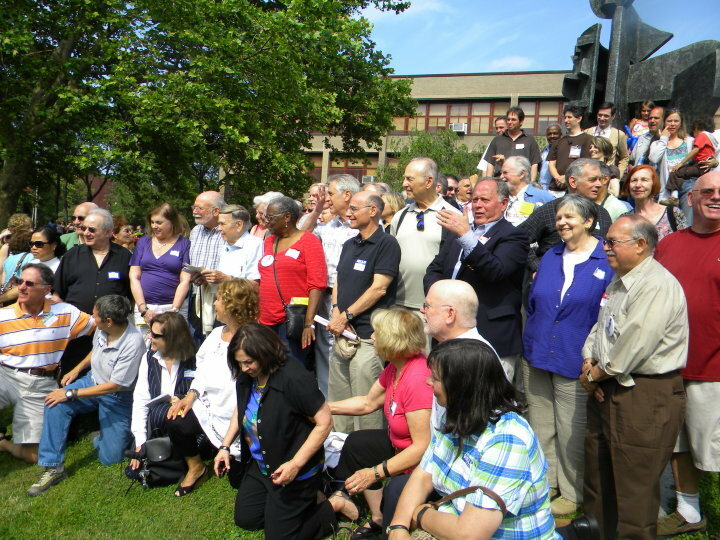 To View Photos of the Reunion from June 12, 2010 and other Photos, click the button below.